In terms of countless giant malls offering everything under the sun, the Indianapolis shopping experience probably falls a little short. 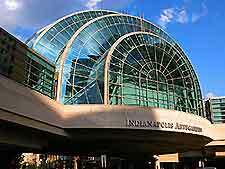 However, what Indianapolis does offer is more select shopping areas, where buyers can seek out unusual products and shop in altogether more pleasant and cultured environment. A visit to the Broad Ripple Village is essential for anyone seeking a unique retail experience devoid of big name stores. Shop opening hours in Indianapolis tend to conform to the norms of America's other big cities, with the majority opening from 10:00 to 21:00, Monday to Saturday, and from 12:00 to 18:00 on Sundays. Many small independent retailers close earlier or later, with the majority closed on Sundays. 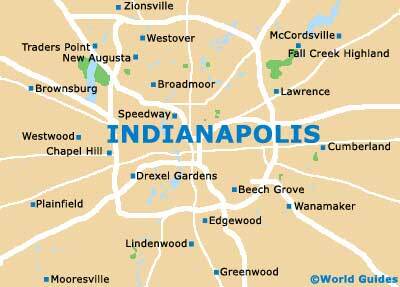 Broad Ripple Village offers some of the city's best shopping, especially if you are looking for something unusual. Independent retailers offer everything from second-hand records and clothing to handmade crafts and jewelry. Make the trip a complete experience by having lunch at one of the many fine cafés or take a trip to one of the galleries here. One of the city's largest indoor shopping centers, Castleton Square Mall features anchor stores such as JCPenney, Sears, Lazarus, L.S. Ayres and VonMaur. Besides shops, there's a movie theater and a pleasant top floor restaurant. With more than 100 shops on offer, Circle Center Mall is a popular daytime hang out, while evenings here are equally popular on account of the entertainment center, movie theater and nightclubs. Popular shops at the mall include Eddie Bauer, Banana Republic, Ann Taylor, Gap, American Eagle Outfitters and Doubleday Book Shop. The County Line Mall offers a small number of large factory-style shops including Kroger, OfficeMax, Old Time Pottery, Sofa Express, D.P. Shallos, Hancock Fabrics and IRC Music South. This small but attractive mall is a good place to go to avoid the crowds. Besides a great selection of shops, it's home to a 13-screen movie theater and a number of eateries. 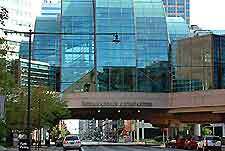 Popular shops and stores at the mall include Claire's Boutique, LS Ayres, Old Navy, Foot Locker and Regency Boutique. Lafayette Square offers a great selection of popular shops as well as a number of restaurants to make your shopping experience complete. Anchor department stores at Lafayette Square include Sears and L.S. Ayres while popular smaller retail outlets include Claire's Boutique, Kids Foot Locker, GNC, Victoria's Secret and Cambridge Menswear. The Fashion Mall is home to a wide variety of stores including a good selection of independent shops. Among the big names resident here are popular favorites such as Banana Republic, Eddie Bauer, Crabtree and Evelyn and J. Crew. This busy mall also features good dining facilities, including Dalt's and TGI Friday's.